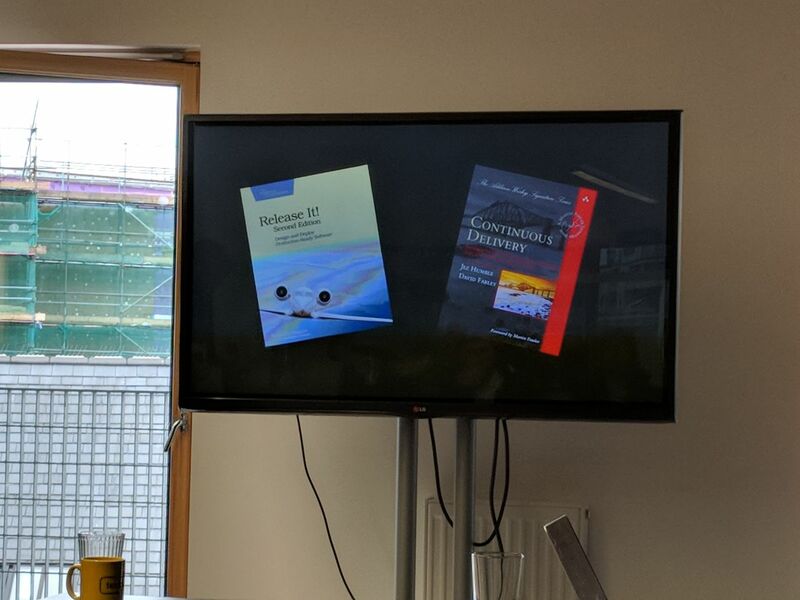 Last Saturday I attended Developer Developer Developer Wales with Nigel, Dai, Pete and we bumped into James Alfie. So what is DDD Wales? 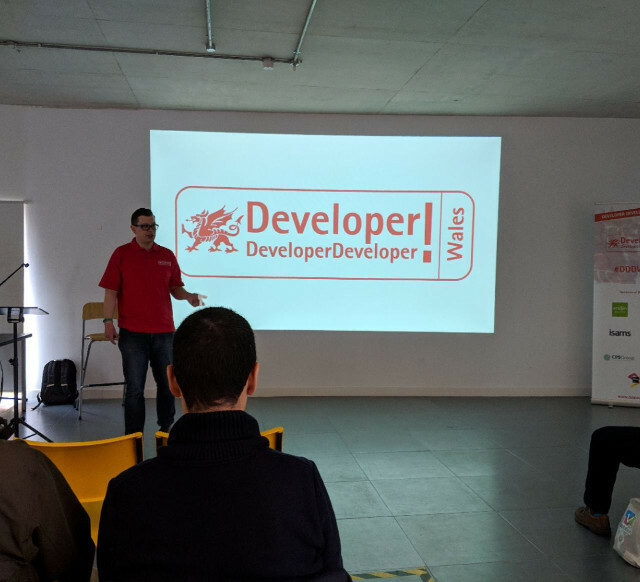 The UK’s premier FREE Developer conference is coming to Wales! Since its inception in 2005, DDD has spread across the UK and throughout other parts of the world, as far afield as Melbourne and Perth. This time though it is heading to Swansea! I have to say I have been to paid conferences that were not as good as this event was, it was amazing, I’ll go back next year and maybe speak at one one day. I made some brief notes about the talks that I saw for posterity. This was a great introduction for a language that has piqued my interest ever since I heard about it on a Software Engineering Daily episode which at the time I thought it was a little odd but after Google announcing first class citizingship at Google IO I started to pay a lot more attention. It was a shame that the slot was so short as I was really enjoying the talk. It really does look like Java without the bit I really dislike about Java, all the boilerplate. Kevin mentioned about kotlin-native which sounded worth a look if I get into it a bit. I was most interested in its functional features and wondered about using it as a replacement to scala for some Spark jobs thought it was worth at least a play. I’ve never heard of the Elvis Operator before which I got me a chuckle and during the presentation I made a note to read “Effective Java” which I have a copy of somewhere. Kevin has some courses on pluralsight which I hace queued up to my pluralsight playlist. I’ve been sorta semi following K8s developments from the sideline but only really peripharily, but I have so much new tech front and centre I’ve not really really had time to really look. 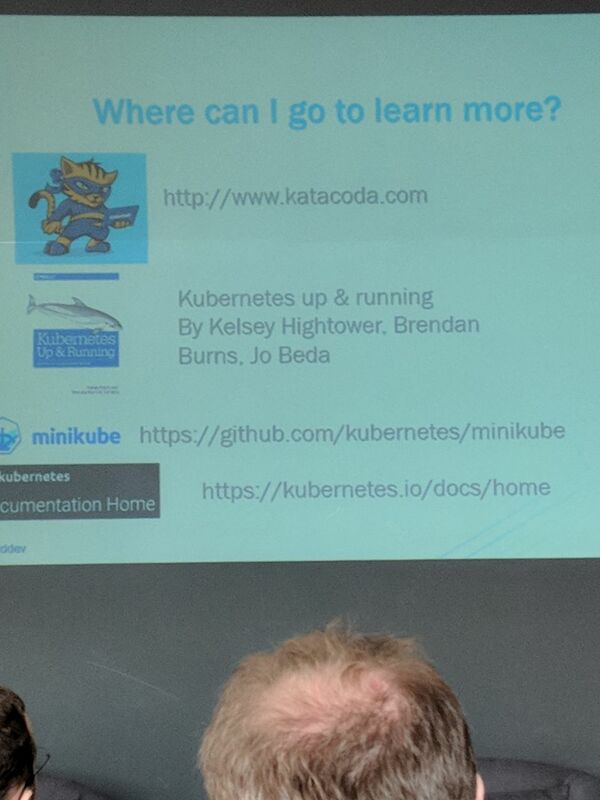 I was concerned that this talk was going to be too heavy on the .NET and a bit light on the Kubernetes, I couldnt have been further from the truth. This was a great talk and helped me understand a lot about the tech and how to potentially roll things out. I’ve played a little with docker swarm previously and this seemed as easy as that to start messing with, which surprised me as I’d thought it was a little bit inaccesible to start with. Minicube seemed a nice way to mess about with things. Being a big AWS user it was nice to see inside the azure console, for the first time and to see what a completely managed k8s looks like, maybe what EKS will be like. 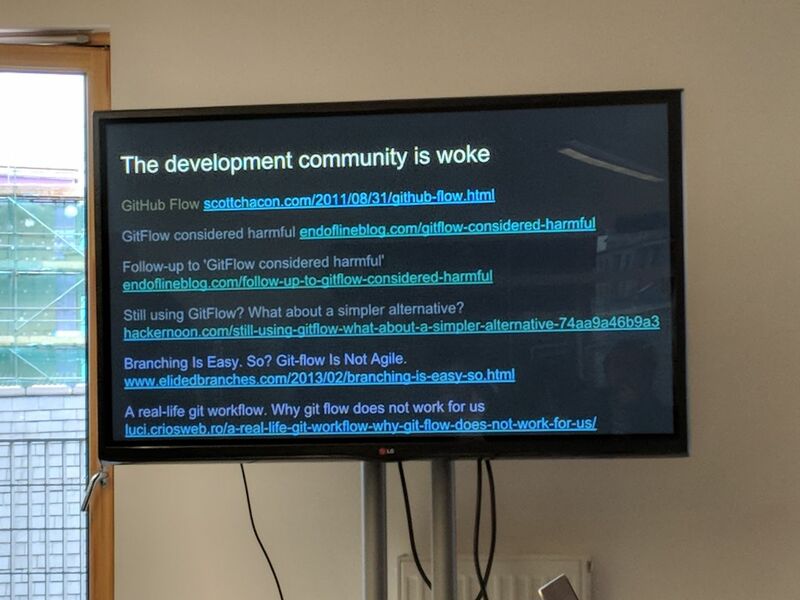 This was probably my favourite talk of the conference, probably because it was/is very topical to my team at the moment, we came very close to implementing Git flow. I caught the tail end of Nginx for .NET Developers - Ian Cooper which was very good, I only wish I could have seen both of these talks at the same time. Myself and Dai nipped to spoons for out lunch so missed the lightning talks but caught up obb soe gossip. To finish up I went to see another streaming based talk by Jess of enjin. This was a great talk to see the kind of engineering problems that other teams have to face at scale. The chat was very microsoft tech stack/azure specific but in an abstract sense it was full of a few nuggets, and food for thought. The slides and presentation were really slick though the painted wall they were projected on didnt lend itself to some of the contrast of the slides, which was a shame as apart from this it was tip top. We then had to leave to catch the train home, so we missed the draw but I heard James did well in that. DDD Wales was a great conference and I will try to return next year and maybe with a bigger contingient.